Below is the roundup of Camino-related events and hikes in the SF Bay Area for the month of September 2017. This coming Saturday, September 2nd, I will be doing a presentation about One-Week Caminos with highlights of the Camino Portugués. Feedback from the last presentation on the Camino Inglés was positive, so we’ll continue with this “Camino Lunch & Learn” series as long as there is interest. The Lake Merritt walks have been a great way for like-minded people to keep the spirit of the Camino alive, right here at home. My hope is for this camaraderie to continue after our monthly walk, where everyone can gather in a comfortable atmosphere over a good meal and learn about Camino topics. I enjoyed every step of my “short” Caminos and look forward to sharing the highlights and lessons learned with those who might not have the time to walk longer Camino routes. This is an informal gathering that takes place on the first Saturday of the month, rain or shine. The group meets at 10:30 a.m. at the Pergola on the east side of Oakland’s Lake Merritt and starts walking promptly at 10:45 a.m. It’s a level, 3.3 mile walk around the lake that takes about an hour. All are welcome (American Pilgrims members and non-members). Afterwards, there is an optional brunch at Barlago Italian Kitchen. Check out the menu. Remember: Bring cash to split the checks. Camino Lunch & Learn is a new forum for Bay Area pilgrims to learn about Camino, share their own experiences, or present a topic. For the September 2nd walk, Laurie Ferris, NorCal chapter steering committee member, will present on the One-Week Camino with highlights of the Camino Portugués Central route. The talk will start around 12:45 p.m. in the private dining room for those who attend lunch at Barlago. The space is extremely limited, so RSVP on the Facebook event or email laurie@caminoprovides.com. If you have a topic you’d like to present or would like to share highlights of your Camino, please contact Laurie. Barlago’s private dining room is equipped with a TV with HDMI input for laptop presentations. We can also screen short Camino films in the space. Sunday, September 3, 7:00 p.m.
Want to getaway this Labor Day weekend? Join esteemed travel writers Susan Alcorn, Erin Byrne, and Lou Ann Granger on an exclusive trip around the world! Susan Alcorn (pictured with husband Ralph on the Camino del Norte in 2015) will be joining the “Writers Road” panel at the Left Coast Writers Literary Salon at Book Passage in Corte Madera on September 3, 2017 at 7:00 p.m. They’ll be talking about traveling, writing, their work, and books. Susan will be drawing from her Camino experiences in Spain, France, Switzerland, and Portugal books as well as great hikes in Patagonia, Tanzania, and the U.S.
Camino Chronicle by Susan Alcorn is one of the books available in our chapter’s CaminoFlix library. Read book review. Copies of Susan’s books will be available for purchase. Monday, September 4, 8:30 a.m. – 12:30 p.m.
Join Stan Dodson and Oakland Trail volunteers on a 7-mile hike from Oakland’s Dimond District up to Joaquin Miller Park. This beautiful hike will go through Oakland’s Dimond Canyon and Joaquin Miller Park, and will finish with a spectacular view of San Francisco Bay. Details: Steady, 7-mile hike in Oakland’s largest wildland trail system, with some steep uphills and downhills, and narrow trails through the canyons. Bring water, sturdy shoes, and bus fare ($2.10). I went on this hike in January and July and LOVED it! It makes for great Camino training. Here’s a little highlight video I made. As you can see, it is a dog-friendly hike! Join us for a hike and picnic in Redwood Regional Park in the beautiful Oakland hills. We’ll do about 7 miles (768 ft of elevation gain) with a break for a picnic lunch at the halfway point at Girls’ Camp, near the Skyline Gate Staging Area. Our loop route includes the Canyon, East Ridge and Spring Trails and begins with a steep uphill climb (about ½ mi), eases into a pleasant hike and ends with a lovely two miles through the cool, redwood forest along Redwood Creek. Group photo beneath towering redwoods on the Spring Trail from the 2016 hike. Meet us by 10:30 AM for check-in and briefing at the Canyon Meadow Staging Area, inside the Redwood Gate entrance of the park. There are several parking lots in the staging area – we’ll be at the last one closest to the Canyon Trailhead. If the lot is full, go back to a preceding one to park. We anticipate arriving back at the trailhead around 3:30 PM. Open to all (American Pilgrims members and non-members). Led by Guy Joaquin and Laurie Ferris of the chapter steering committee. No RSVP required. If cancelled by weather, an update will be sent 48 hours in advance. By Car: There are multiple entrances to the park. The main one is Redwood Gate on Redwood Rd. in Oakland about two miles east of Skyline Blvd. From Highway 13 (both north and southbound), take the Redwood Rd. exit and go east (uphill). At the top of the hill, cross over Skyline Blvd. and pass the Skyline Ranch Equestrian Center and Piedmont Stables. After the Big Bear and MacDonald Staging Areas, Redwood Gate will be on the left. There is a $5 parking fee. For more/other directions, use Google Maps. By Carpool: If you want a ride or can give one, post a message to this event listed on our Facebook Group. Suggested meeting points are Rockridge, Castro Valley and Hayward BART stations. By Public Transportation/Foot is possible by bus (AC Transit #54) from Fruitvale BART station, followed by a walk uphill (about 1 mi) from the corner of Redwood Rd. and Campus Dr. to the Dunn Trail and then a hike (up to 3 miles depending on trails selected) to the Canyon Meadow Staging Area. But please carefully research and plan your trip to arrive in time. Our recommendation is by car or carpool. 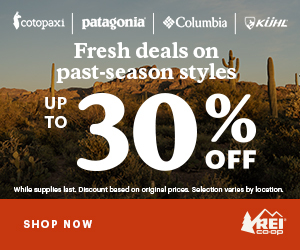 What to Bring: Water, snacks, a bag lunch and sun protection. Cash for parking. Hiking poles will be helpful for the up and downhill portions. Post-Hike Happy Hour: We plan to rendezvous at Degrees Plato for drinks and Oaxacan bites in Oakland’s Laurel District at 4251 MacArthur Blvd. (about a 5 mi drive from park). Plenty of free parking in the adjacent lot off of High St. Details on these events will be added here later. 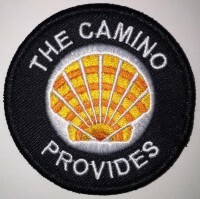 Get your Camino Provides 2017 patch before they’re gone. The theme this year is LOVE. The rainbow design was inspired by Chakras (energy centers of the body). $4 each at etsy.com/shop/caminoprovides.